Once again…. so many new beauty products, so little face. Let me rephrase that; I have just one face to try a whole mountain of new beauty launches, but alas, someone has to do the job. This past week in office, I’ve seen many things land on my desk: boxes of Burberry Beauty, eyeshadow palettes from NARS, a paper bag of Wella (I think I saw a brush inside), fragrances from Hermès, Chanel, Lancome and Narciso, Giorgio Armani makeup (finally! ), a mask from Chantecaille, lipsticks and liquid lip liners from Dior, a new colour from Beauty Blender, and more (these are just the ones I can remember!). And yes, I try to try everything, and these below are the few that stood out. I’m not a fan of stick foundations (I feel they don’t give the beautiful finish I get from liquid ones); so I didn’t have high hopes for this product. The application started out normal enough; I swiped it on directly to the skin, then used a flat round head foundation brush to buff it in. It was only when I turned my cheek that I said “WOW!”….. my cheekbones were glowing! And not in a fake makeup-enhancing shimmery way; they just lit up with natural light, making my skin look healthy and vibrant! I’ve never described my skin as vibrant before, but this… this looked vibrant. The finish is soft and semi-matte, and the texture is very smooth. I went over my face twice for fuller, more even coverage, and I achieved my favourite kind of finish: soft, semi-matte. 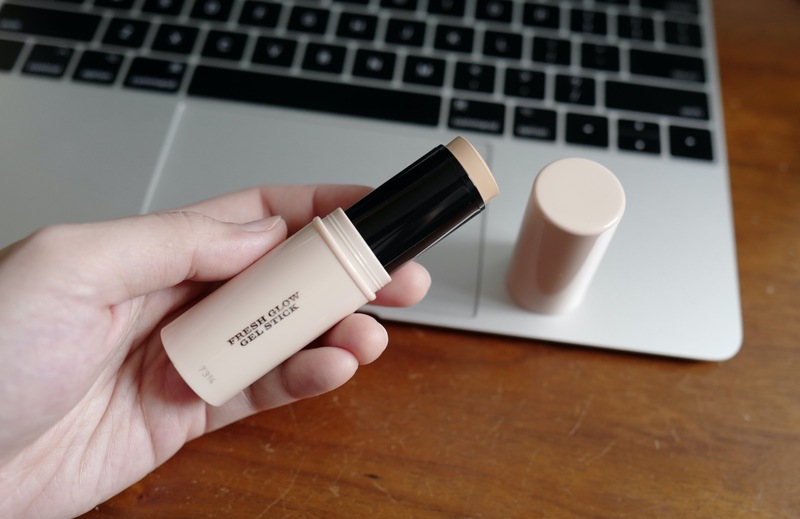 This product also claims to be a concealer (the full name is Fresh Glow Gel Stick Luminous Foundation & Concealer), and it actually works as one. I used a concealer brush and managed to cover a mole, some pigmentation and even a blemish — it was impressive. I used my fingers to tap it under my eyes as well, and it performed as good as a regular dedicated concealer. Very impressive. 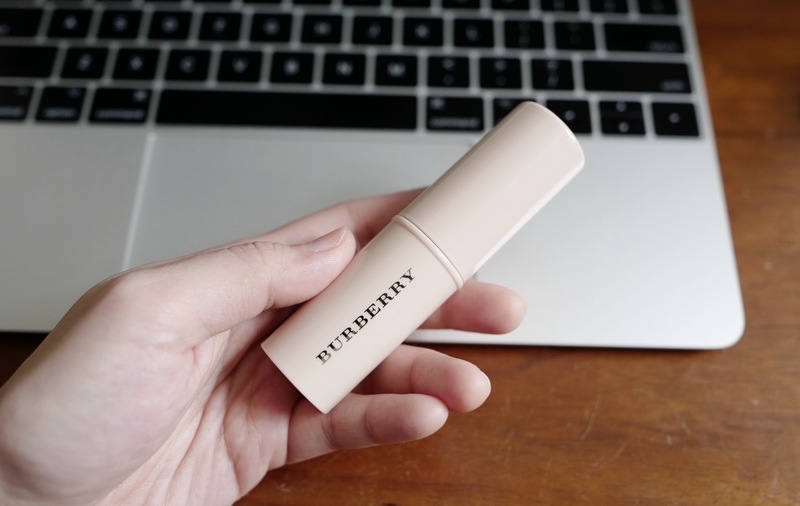 I haven’t tried Burberry makeup in a while and I’m glad to discover this new addition to my makeup box. Oh, and it’s obviously perfect for travelling with. With Shiseido’s relaunch of their entire makeup line, we can only expect greatness from this legendary Japanese beauty house. I had the good fortune to be one of the first to try products from the new collection, and this whipped powder blush immediately stood out for me. It has a whipped mousse-like texture, and feels incredibly soft. Even just pressing into the product in the pot, you can feel the extreme “airiness” of this formula. 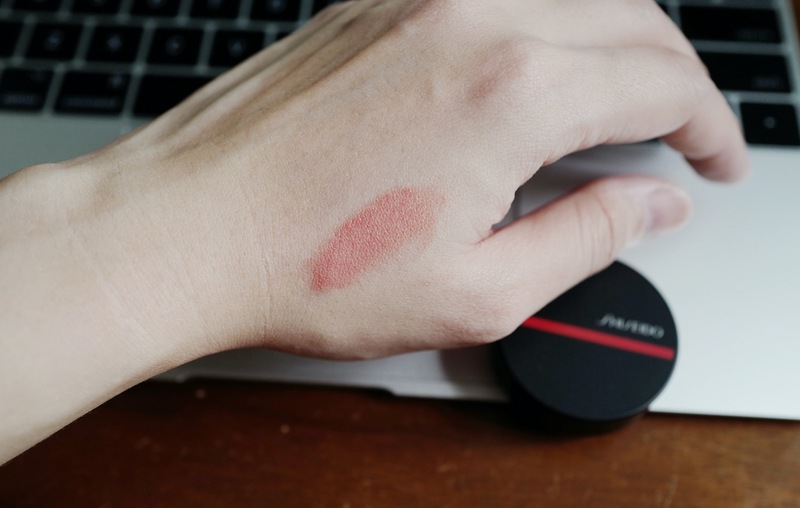 I tried shade 01 Sonoya, which is a pinkish coral with a hint of shimmer. It’s beautiful (just like the Japanese model it was named after). And the texture is amazing; it glides onto skin like silk, and transforms into a soft powder. 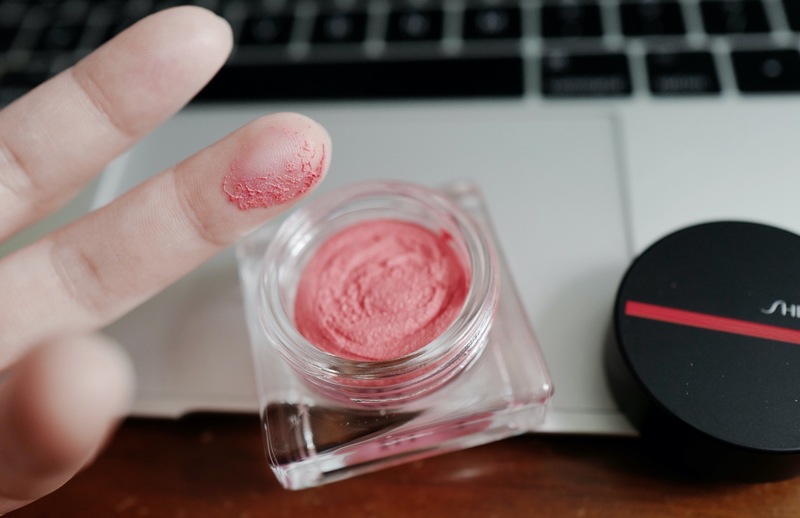 The product is very easy to blend, so it looks natural on skin and not patchy at all. I can’t even achieve this with some of the best powder blushers I own. Fun fact: it’s also a favourite of NYLON cover girl, Yoyo Cao (we caught it on her IG Stories). 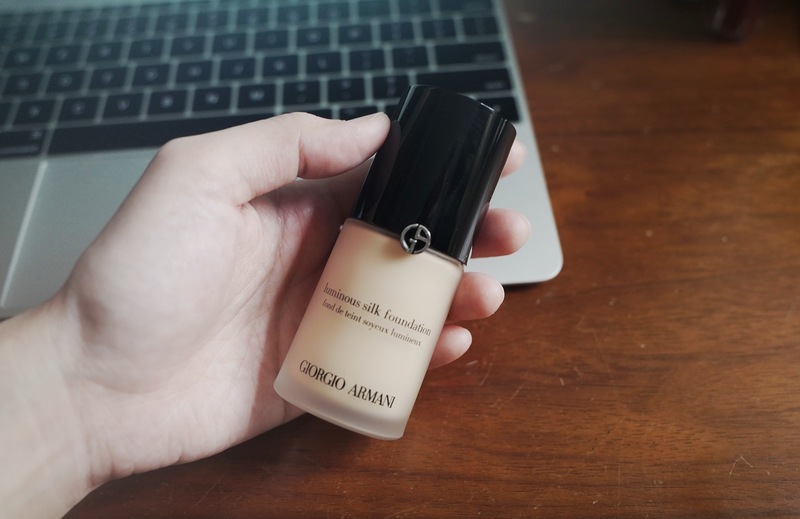 For years I’ve been hearing about Armani’s cult liquid foundation. This past week when it launched in Singapore at TANGS, I finally got to try it and it is GOOD. Now I see why it’s a cult product. It glides on very smoothly, disappears on skin, and skin suddenly looks smoother, poreless and more even. 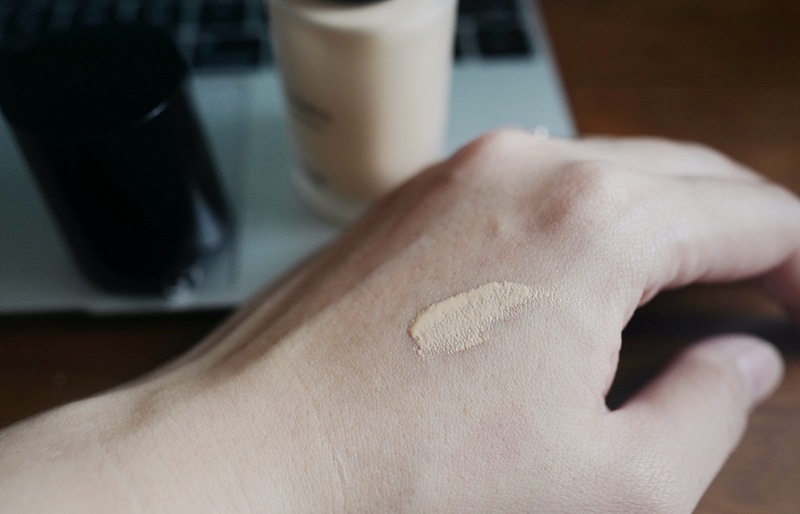 I know, I know, there are a lot of liquid foundations out there that can achieve this too (Chanel Le Teint, Dior Backstage, Estée Lauder Double Wear, anything from Three…), so it comes down to brand preference, your skin type, and budget. 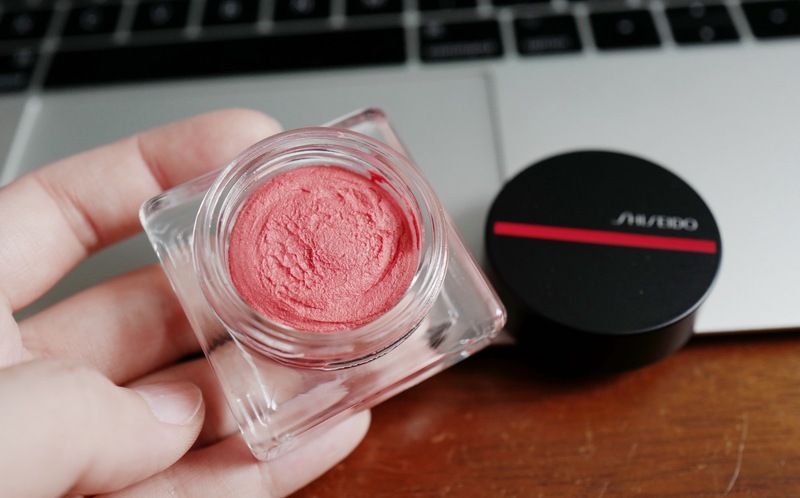 With Armani beauty, what this product has going for it is its cult status (if you care), newness (in Singapore), and it is seriously impressive on just the first swipe. I don’t see anyone not being impressed by this product. 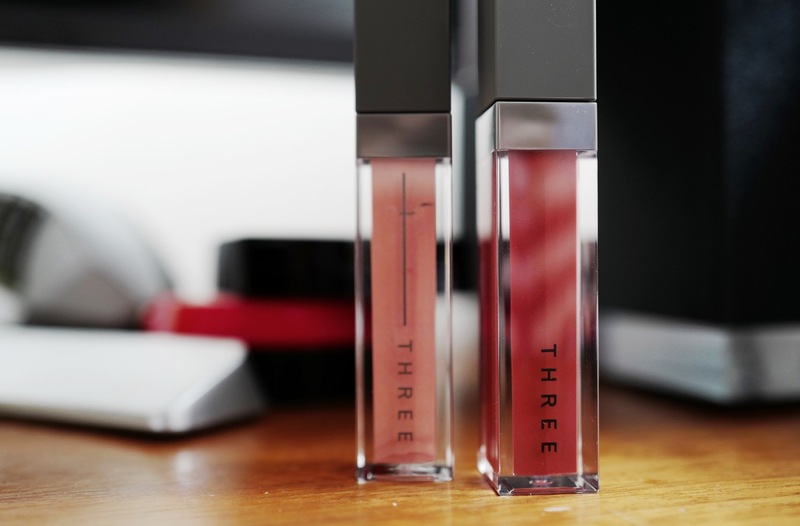 I don’t use many lipsticks or lip colours, but I actually like this new lip product from Japanese brand, Three. 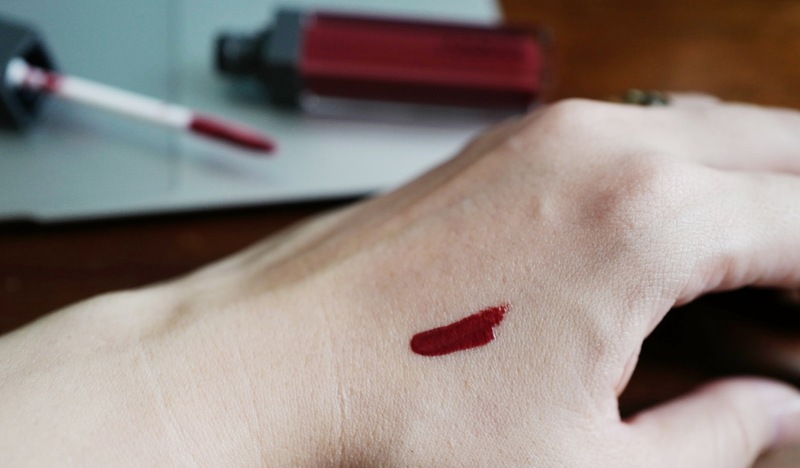 The texture is interesting — it’s not glossy at all (hence also not sticky), and it’s not very matte or dry. Three calls it a “raw matte” texture — ambiguous, but I love the description. And what I particularly love about this product are the ingredients in the formula : Prune seed oil, Acai berry oil, Tea seed oil, Argan oil, Jojoba oil, Evening primrose oil, Rosehip oil, Shea butter, and Beeswax — all pretty safe and relatively healthy, which is important because I’m putting it on my lips. If I had a choice, I would go with the pink beige shade, “01 Movement Feel”; but I was given shade “11 Run Free”, which is an elegant poppy red, and surprisingly natural. I tapped it onto lips and it resulted in a very pretty stain. 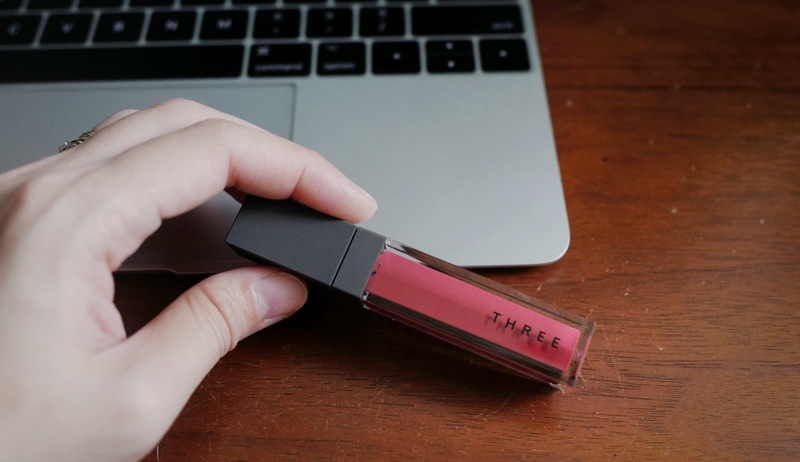 I imagine if you swiped it on straight from the applicator you could achieve a vivid, bold lip (I’ll get someone to demonstrate and then update this space). I like the packaging too; it has hard, clean lines and is the same shape and size as the brand’s eye products. Imagine collecting them all and lining them up in your makeup box. It’s a minimalist’s dream come true. Shampoos and conditioners are personal preferences, and I believe these are products where price doesn’t really determine how good they are. I’ve used really expensive products from Kerastase, Aveda, Aesop and shu uemura Art Of Hair, which didn’t work well for me; and I’ve discovered drugstore shampoos and conditioners that make my dry hair less frizzy and more manageable. This set from Moist, Diane is one of those great discoveries. There are six variants in this new collection, and they all include Organic Argan Oil, and some type of Keratin — for the Extra Fresh & Hydrate version, it uses “Feather Keratin”, whatever that is. But who cares what’s inside, because after just two uses, my hair was super soft and flowing the way I want it to! 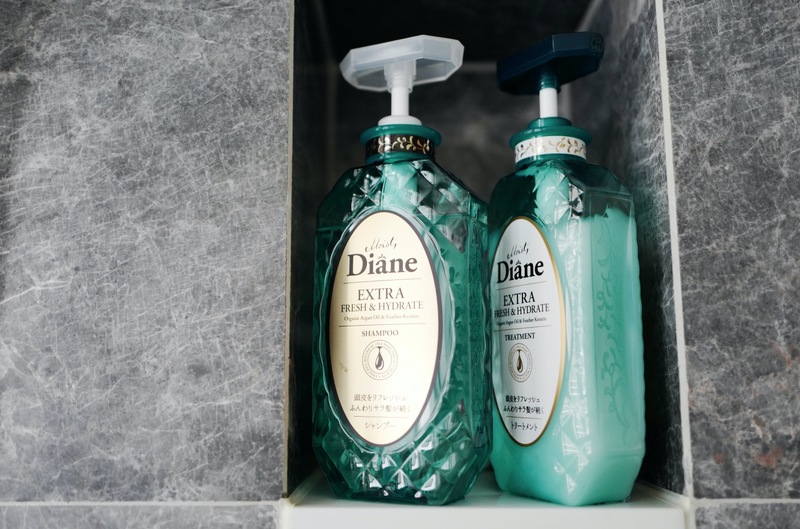 The fragrance is a bit strong though, mainly due to the anti-bacterial ingredients (Rosemary, Tea Tree and Peppermint), but again, who cares…. my hair is softer and smoother than before I used it. When I finish these bottles, I’m going to buy them again.